CEREC® same-day crowns utilizes CAD/CAM technology to help the dental team fabricate precise shapes and sizes for dental restorations including inlays, onlays, crowns, and bridges. CAD/CAM is an acronym that stands for computer-aided design/computer-aided manufacturing. Digital x-rays reduce the amount of radiation needed as compared to film x-rays. The improved diagnostic capability of digital x-rays and the ability to view the x-rays on a computer screen allow the patient to better understand and follow treatment. Digital x-rays are instant, there is no longer a need to develop the film. Digital x-rays save time and improve patient care. It’s also a very green technology. By eliminating film, developer, and chemical waste, it is better for you and the environment! The Luxator® LX mechanical periotome is a modern extraction instrument that offers improved efficiency, precision, and safety. Dr. Senft has invested in this technology in order to perform the most gentle tooth extraction possible, resulting in a more comfortable post-operative experience for his patients. These handpieces provide less vibration and noise than traditional dental drills. Not only are they quieter, but they are also more efficient in tooth preparation. This makes your dental procedures easier and faster. These scalers are used during your professional hygiene visits to gently and meticulously remove harmful bacteria. These monitors are found next to every patient chair. Patients enjoy relaxing scenes during treatment. 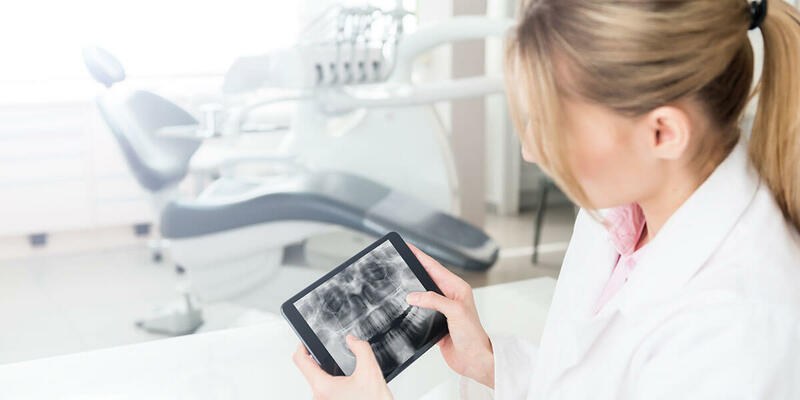 Patients can also view their x-rays and intraoral pictures when speaking to the doctor about the findings for a better understanding of their oral health. Our office offers free Wi-Fi for our patients.